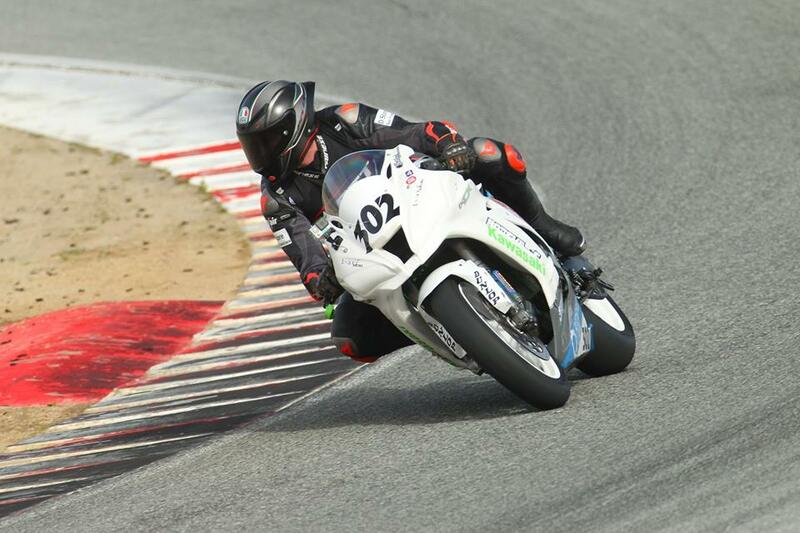 The world famous Weathertech Raceway Laguna Seca – one of my favorite tracks to ride in Northern California. 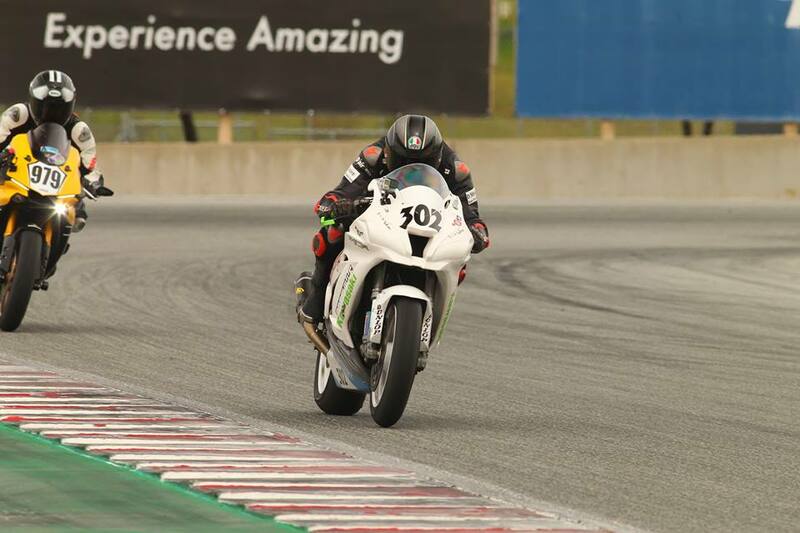 The great track surface, elevation changes, and variety of corner types makes this an amazing place to experience track riding, and one of only two tracks in California that the pros also race at. Pacific Track Time was headed to Laguna for a Monday track day on April 1, 2019. As is common in the spring, the weather was looking a bit questionable, but it seemed like we might get lucky with a mostly clear day. Thankfully it stayed fairly dry overnight, and the track was ready to go live at the scheduled time. I spent the first couple sessions of the morning teaching the C-group introduction sessions, going into a bit more depth about riding on a track, protocol, etiquette, and details about the track itself with the newer riders. Just before lunch I headed out for my first A group session on track, and just set out to warm myself and my bike up since it had been nearly a year since I was last at Laguna. The first session out wasn’t too bad, and I very quickly got down to within a second of my previous personal best at this track. I looked forward to getting some seat time after lunch and getting the bike dialed in, hoping for some great weather to hold out. Once we headed back out, I started to work on my flow and relaxing a bit, and got down to my previous best lap ever, but I could tell the bike wasn’t quite set up for this track. With some advice from Mike Canfield, I made a couple small changes, and headed back out for the next session, relatively easily dropping a couple more seconds, putting myself at a new best for Laguna. This was great, but I could tell set up still wasn’t quite there, but I couldn’t put my finger on exactly what was bugging me, so I was hoping to have another good session so I could work on finding some of the pace I could see I was leaving on the table around the majority of the track. Unfortunately, the weather started taking a turn – minor at first, just dropping the air temperature and humidity, but with a race weekend coming up in two weeks I wasn’t willing to push beyond my very comfortable comfort zone. We had a few more bikes that were being dropped as well, and I didn’t feel like joining the crowd, so I backed off a bit and finished the session just working on being smooth and my eyes. After that, the weather really took a turn and we started to get some light precipitation. Since I had races coming up soon, I decided to take the prudent route and leave my bike parked. While I stayed ready to assist if needed (at a very chill pace), I didn’t want to be trying to turn quicker laps. The weather kept this up for the remainder of the day, so the riding ended early for me. While I had hoped to find and use more of the time I could see I was leaving laying around, I chose to be cautious and held off. Taking 2 seconds off my previous personal best should have felt great, but since it seemed “easy” I really had hoped to move that up a bit and work on getting a good baseline set up for this track. Sadly that wasn’t going to happen, so my day at Laguna ended rather quietly and relaxed as there was plenty of time to slowly pack up while a few brave souls kept going until the end of the day. 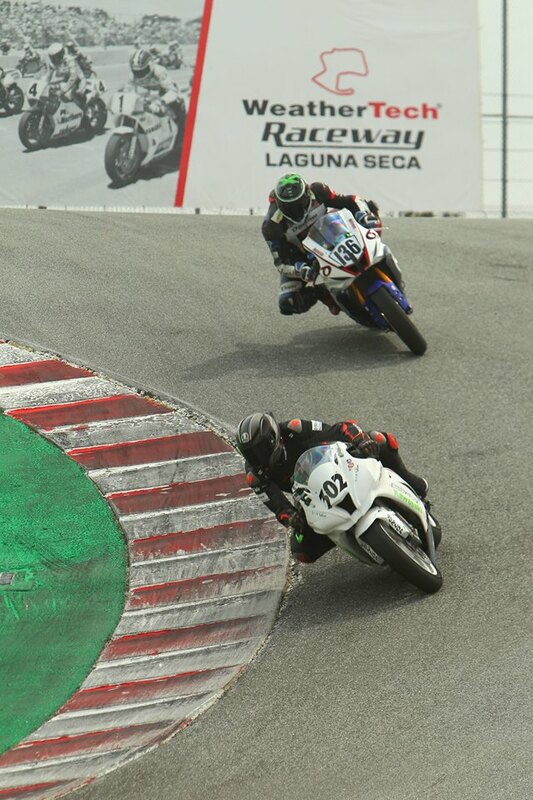 I always look forward to riding at Laguna, being on the same track as Moto GP riders is always an experience. Hoping to someday experience racing there myself, however, means I don’t spend as much time enjoying it as I could since I end up doing a fair bit of evaluation throughout my day. To this day it’s still my favorite track to ride, and I can’t wait until I’m able to get out there again!